All devotees of early keyboard music will welcome this attractive compilation of the best-known pieces from the classic Fitzwilliam Virginal Book, a remarkable collection of Elizabethan and Jacobean keyboard music. Contents include such courtly dances as the galliard and pavan, ingenious preludes, fanciful fantasias, and many other works to delight players and listeners. 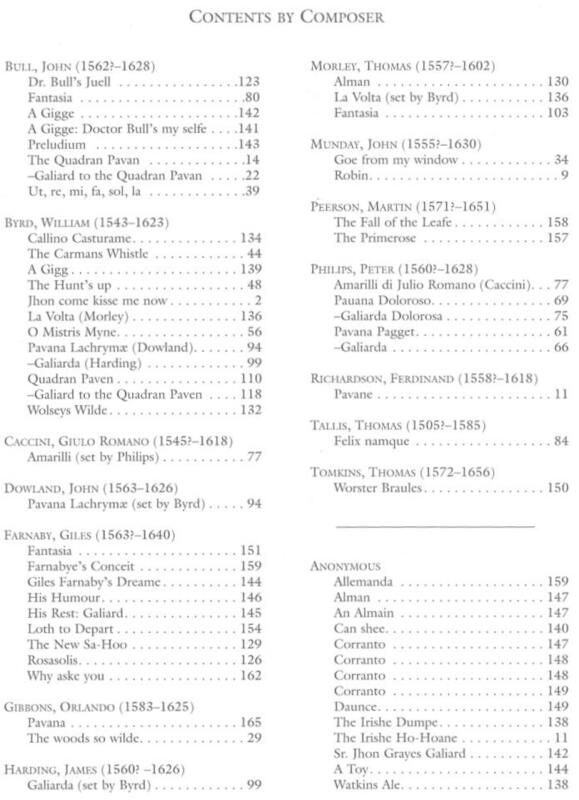 Dover Original compilation of works from the Fitzwilliam Virginal Book.